MyMoonSpots is your private travel concierge. Just ask us to book this fantastic place in France! In the beginning, there is Helen. Then there is Henk. Both Dutch. Both generous and passionate. Only then there is this imposing house (750 m2 living space!). A thunderbolt, 7 years ago. To the point of turning their backs on their posh lives in Holland, (she, in the event, he, at Saint Gobain), come to lie low at the end of the world, in the small village of Tours sur Meymont, Auvergne. A brave choice, daring at the time. Will they take the shock of expatriation and isolation? Seven years later, they are still in love of Auvergne. Passionate about cooking, Henck enjoys much of her day in the kitchen to be tested or invent new recipes. “When I have time, I’ll take a turn at Régis Marcon or Serge Vieira are inexhaustible sources of inspiration,” he humbly says. He has an incredible talent, his dishes are bold and original, processed but without arrogance. A lot of attention and a touch of modernity in this friendly kitchen. A Sloth gentle, the dinners are an art. And a moment of joy and reunion with family, friends or with the other guests around the huge table set up in the dining room. For its part, Helen refines again and again, its decor, soft, stripped without being monastic, bit by bit, with a permanent sense of detail. Scandinavian influences are pervasively present. Helen welcomes guests always with great delicacy. It deplores few bad encounters “It gives energy to meet new people. And when it is open, the other is also. ” A philosophy of life that infuses the fresh Laziness. Returning to the house, which is said was once connected to the church. At the time, not ruined but still not really habitable. A thunderbolt. For this wooden staircase, the wooden beams, and the small chapel that they have cleverly transformed into a cozy library. All work was done by the owners themselves. Objects can be a bohemian stranded, some mottled in flea markets, others left a gift (like that old accordion on which children throw themselves), still others unearthed in auctions or decoration shops Type ck2, Hema, or Loods5. Harmony of materials and muted colors make you feel good to Sloth fresh. We like, in the continuation of the second floor, the tree all dressed in wood, nestled in oak planks, hemmed with a simple string of lights at Christmas. Soft in idleness, they are 5 rooms at low prices, for visitors looking for complete separation. The house can be booked for a family or several couples. A place far agreed addresses. A dive into the Dutch fragrance in the heart of Auvergne. You will not be disappointed. 5 rooms. From 75 euros per night for 2 people. Discover the village of Ambert! Bring back some fourme d’Ambert of course! sur ! Get our secret places in advance! 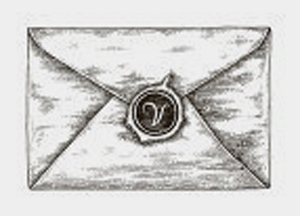 You will love to receive our monthly inspiring letter! Ask us the moon, MyMoonSpots takes care of your trip!